I see it on eBay ALL the time and even on etsy. The only conclusion I can possibly draw from this perturbation is that one person misnamed it on eBay at some point in the past. Being that most Corningware on eBay has been picked up at garage sales and such, most people don't know the actual pattern names. (I still have trouble with some of them... Like "Evening Song" and "Laurelwood") It doesn't help that Corning never marked their pieces with design names either. Oye! So without further adieu. I present this pair of patterns with their proper prenomen. What puzzles me most, is that they look so different, how did they get confused in the first place? The two designs aren't even from the same decade... 20 years stands between them. It's 70's vs. 90's. It's jewel tones vs. pastels. It's birds and tulips vs. Alstroemeria. Ah HA! Gottchya on that one didn't I? 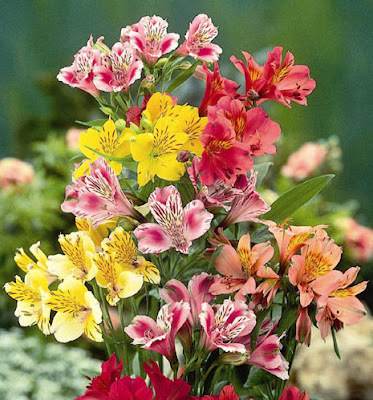 Yes, it's true; Friendship isn't a tulip... (Though I will admit that it kinda-maybe-sorta looks like a tulip) I'm pretty sure, though not completely, that it's a "Lily of the Inca" AKA: Peruvian Lily (Alstroemeria); which just happens to be the flower of "Friendship". I did a little more research through the "Language of Flowers" book I have. 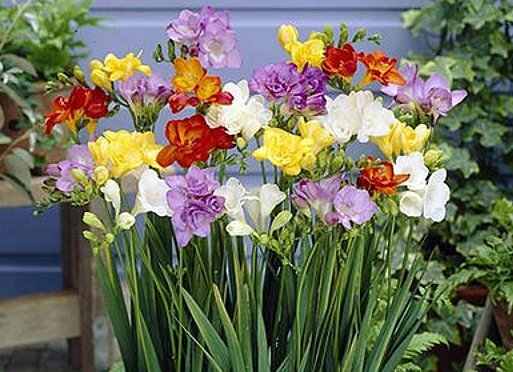 (a reprint from the Victorian era when these secret messages through bouquets of flowers were all the rage) and Freesia stands, not just for Friendship, but "Lasting Friendship". This to me is even more fitting. So hopefully this will help clear up all the puzzlement out there in regards to which pattern is which. I know I sure could have used this type of publication about 6 years ago. I guess it's better late than never, right? 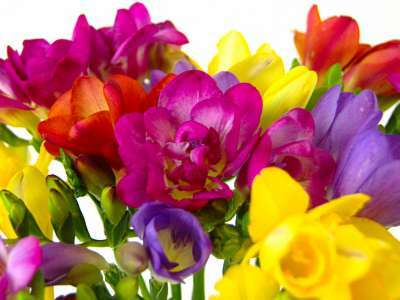 You have educated me in many areas, today it is with flowers, I always thought that was freesia. Very true. I was not really into Pyrex until fairly recently, (within the last couple months) and saw the red birds on the Friendship Pyrex pattern. That proverbial light bulb went off above my head as I finally realized where the confusion is actually stemming from. I think Pyrex Friendship has been around longer than the Corningware Country Festival as well.